The UnRun is a 5K run to benefit Maplewood and South Orange elementary schools. The UnRun starts and finishes at the Marshall Elementary playground. The entirety of the course is within the Montrose neighborhood of South Orange. Its route is closed off from traffic and includes few hills. All turns are manned by volunteers to ensure that no one goes off-track. The event is designed to be family friendly and accessible to young runners. Non-running family and friends can play in the Marshall playground and still clap UnRunners home at the finish line. There is a $25 entry fee for the UnRun which is donated to the Maplewood-South Orange elementary school of your choosing (when you sign up). 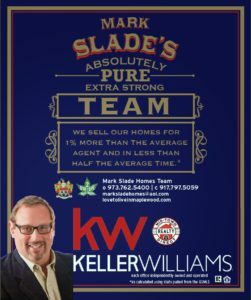 Runners receive a t-shirt (S-M-L-XL) whose cost has been entirely donated by our generous sponsor Mark Slade of Keller Williams Realty. In the third year of its existence the UnRun donated $3,750 to our local schools. We hope that your participation in 2019 will allow us to double this number! Course is flat and crosses no major roads.